school and college football in Texas. Most fall weekends, I cover high school football on Friday night for the local paper, then scrambles to Big 12 college venues on Saturday to report for the sports wire service The Sports Xchange. Whether as a staff sportswriter or freelance journalist, I’ve covered every level of Texas high school and Division I college football as well as the occasional Dallas Cowboys game. 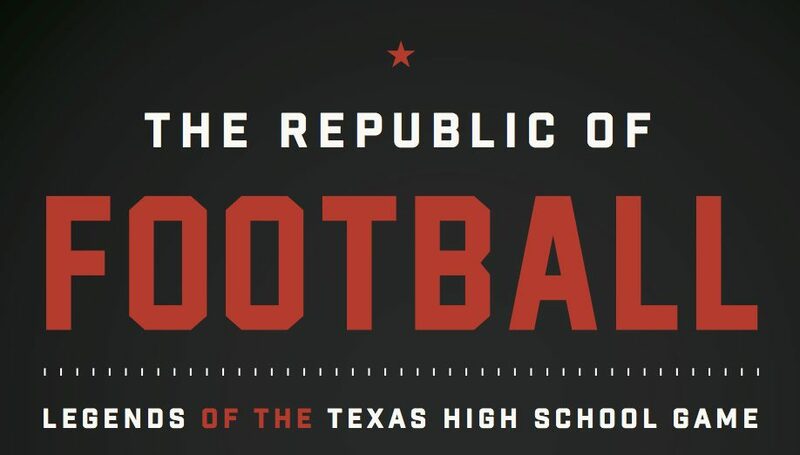 In the last two years, I turned that experience and access into a unique football book, “The Republic of Football: Legends of the Texas High School Game.” I sought to tell these stories in a crisp and compelling format that allows the reader to quickly digest each chapter. At the same time, I wanted to uphold the legacy of sportswriters before me by giving an honest account of the personalities and places that define Texas football and add their color to the game wherever it is played. I used first-person style in order to take readers on the endless road trip of chasing Texas football stories in The Republic of Football.